The Turkish attack on Afrin, a Syrian city with a Kurdish majority, demonstrates the complex internal conflict within Syria and the Middle East. These conflicts are likely to develop in new and important ways that will have a significant effect on the region. The attack implicates several regional and international issues like the Syrian civil war, Kurdish nationalism, and stability within NATO. The Turkish attack in Afrin was an attempt to dismantle the YPG (the People’s Protection Units). The YPG is a Kurdish militia in Syria that is labelled a terrorist group by the Turkish government. The Turkish government has justified their intervention with the claim that the YPG is affiliated with the PKK, a group that is actively fighting for Kurdish independence in Turkey. However, the YPG denies these claims. The direct and indirect involvement of numerous actors contributes to the disruption of regional and international alignments. As the United States maintains an unclear position toward their Kurdish allies in the war against ISIS, the stability within NATO is threatened. With Russia allying with Turkey in this attack, the United States’ position is crucial. It could mean losing an important ally in the Middle East in the fight against ISIS, or encouraging a disruption of alignments and interests within NATO towards Turkey and Russia. The position the United States takes concerning this battle will likely undermine either the NATO alliance, or the Kurdish one. The United States’ unclear position on their Kurdish allies must be made explicit. Either a stance must be taken that supports Kurdish forces or backs Turkish intervention. The White House’s position is of fundamental importance as this conflict could have the power to disrupt the whole region through Kurdish nationalism and a re-alignment of NATO allies in the Middle East. This move, as well as constant support from the United States for the Kurds, has alienated Turkey. Turkey is now accusing the Trump Administration of supporting and funding a terrorist group. 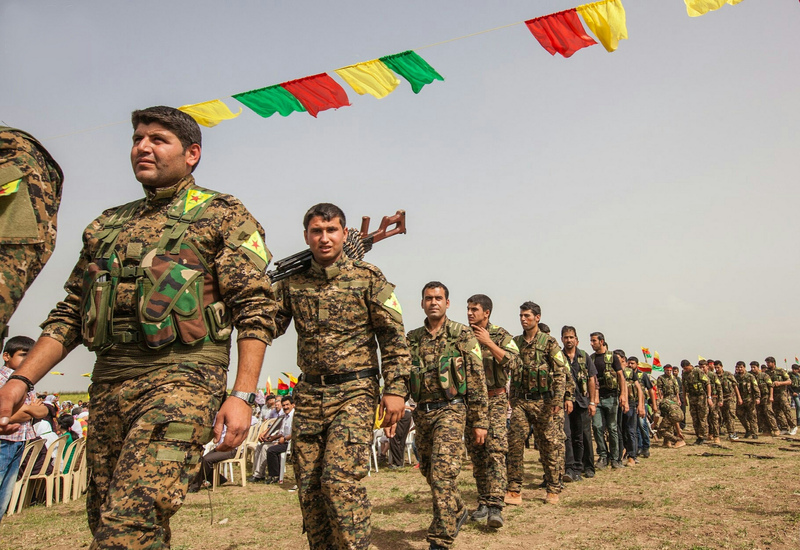 Though the United States cannot lose its Kurdish alliance as it “needs them to contain Iran”, it still remains unclear on its position in this conflict. In fact, James F. Jeffery, a former American ambassador, claimed that “we told the Turks that the Kurds were temporary, tactical, and transactional to defeat ISIS.” He argues that the justification for the alliance with the Kurds is that it is purely strategic and should not undermine the one between Turkey and the United States. Russia, an important ally of Turkey, also denounces the position of the United States toward the Kurds. This further disrupts NATO’s stability and long-term military alliances. With Russia actively participating in the fight in Afrin alongside Turkey, NATO stability could easily be undermined as three NATO members provide resources to adversaries. There are also concerns that Kurdish nationalism could be ignited by the battle in Afrin, with detrimental effects on regional stability. After the Kurdish referendum for independence in Iraq in September 2017, the battle of Afrin could be another source of the escalation of Kurdish militancy. Kurdish nationalism is more present in the region than it has ever been, and could lead to more Kurdish nationalist militancy. 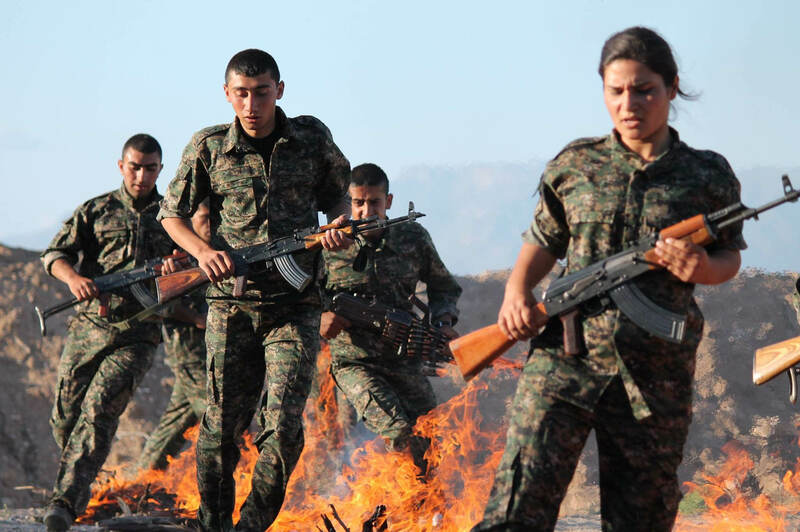 In fact, some argue that “with a rising insurgency beginning with the success – or even noble failure – of the defence of Afrin, a broader Kurdish revolt against their host states and allies is not beyond the realms of possibility.” This would disrupt the whole region through the agitation of Kurdish populations in Syria, Iraq, Iran and Turkey. This possible scenario would deepen the complexity of the United States’ position in the Middle East and would further require a clear stance to be taken. American interventionist actions and policies in the Middle East are now being challenged by the difficult situation in Syria. Unable to take a clear stance, US policy has shifted from assertive to unclear. The cost of this ambiguity stance might be the disruption of stability in the Middle East, as well as the disruption of stability within the NATO alliance.